It’s not often that a song becomes a classic, even a standard. But “I Can’t Make You Love Me,” Bonnie Raitt’s two-verse, two-chorus heart-rending ballad of unrequited love, has become both of those. And even though it’s never been regarded as a country song, “I Can’t Make You Love Me” was written by Nashville writers Mike Reid and Allen Shamblin, who were, and still are, well-noted for their successes in the country arena. Reid, a onetime NFL lineman, has had many cuts by Ronnie Milsap, as well as George Jones, Tim McGraw and others, while Shamblin has had hits with Keith Urban, Miranda Lambert, Gary Allan and more. But neither of them may ever duplicate the success of “I Can’t Make You Love Me.” Since Raitt cut it in 1991, the song has been recorded by Nancy Wilson, Kenny Rogers, George Michael, Kelly Clarkson…and the list goes on and on. But the song apparently didn’t have an easy labor, taking months of rewrites. Raitt and producer Don Was recorded the song for Raitt’s Luck of the Draw album, with spare, but trademark, piano by Bruce Hornsby. The album has since sold more than 13 million copies in the U.S., and “I Can’t Make You Love Me” has become Raitt’s signature song, especially for radio listeners who were unaware of her roots as a blues artist. Most recently the song has been introduced to a whole new generation of music lovers by acts like R&B artist Tank, indie artist Bon Iver, and by Adele, who performs it in her 2011 Adele Live At The Royal Albert Hall CD/DVD package. 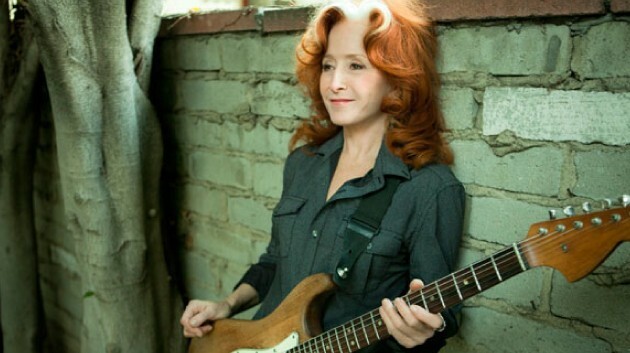 “Of all the songs in my career, that one is the greatest gift,” Raitt told Rolling Stone. “I think it stands among the best songs ever written.” The magazine named it Number 339 on its list of the 500 Greatest Songs of All Time, though many would probably beg to differ with that ranking. Click here to read the lyrics.